About planes : Planes fly fast – really fast! 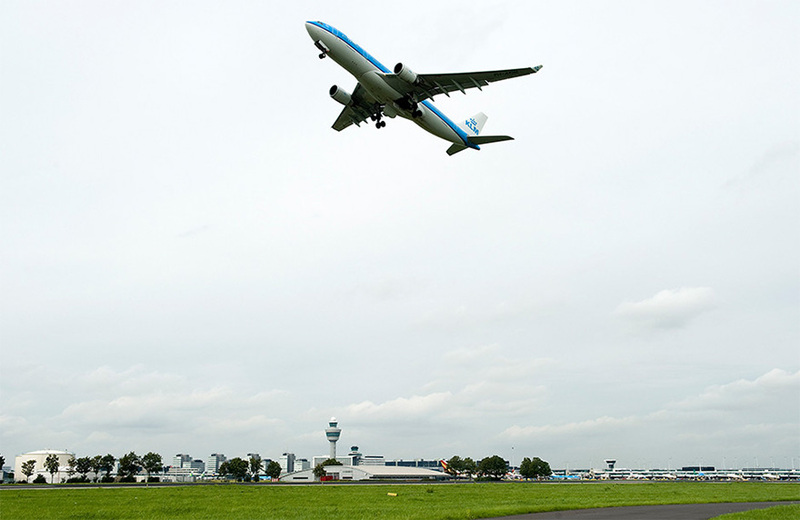 We receive hundreds of questions about planes every day at Schiphol. People ask us how high, how fast and how heavy they are. Planes really are super interesting – so we’d like to answer our most commonly-asked questions right here for you. How high can a plane fly? That depends on the weight, type of aircraft and conditions in which the plane flies. Every flight has something known as its own ‘ideal cruising altitude’. That means it’s the ideal altitude at which the aircraft can fly the fastest, and use the least amount of fuel. Planes need to be refuelled, just like cars – except planes use kerosene rather than petrol. The Boeing 747 has a cruising altitude of 10,700 metres, while the Embraer 190 climbs to 12,000 meters. The Airbus A380 can even fly over at 13,136 metres. That is more than a hundred times as high as the average church tower! You can find a chart that displays the cruising altitude of the most common aircraft at Schiphol at the bottom of this page. How fast can a plane fly? Planes are extremely fast, especially when compared to your car or bicycle. The type of aircraft and the weight are important. The Airbus A380 can reach speeds of more than 1,000 km per hour, which will take you from Amsterdam to Stockholm, Sweden within an hour. The same trip would take you more than 16 hours in a car. The Boeing 787 Dreamliner (907 km/h) and Boeing 777 (905 km/h) are also fast. You can see the most common aircraft speeds for planes at Schiphol below. How heavy is an airplane? How heavy a plane is depends on its width. A large and wide plane like the Boeing 747 weighs around 183,520 kgs. An Embraer 175 is much smaller and weighs 21,890 kgs. There is a maximum weight than aircraft can have before it is able to take off. If it’s too heavy, it won’t take off. For a large aircraft like the Airbus A380, the maximum weight can be as much as 575,000 kgs, or the weight of 96 elephants! You can find the empty weight and take-off weight of the most common aircraft at Schiphol at the bottom of this page. How many passengers can be seated on a plane? That depends on how many seats fit into the plane and how many seats the airlines want to have on the plane. The larger planes, such as the Boeing 747, 777, 787 and the Airbus A330 and A380 can lose much more seats than the smaller Embraer 190, Boeing 737 and Airbus A320. The A380 can carry the most passengers (516 seats), followed by the Boeing 747 and 777 (408 seats). Scroll down to view the number of seats in the most common aircraft at Schiphol. How many planes are there at Schiphol? Around 1,370 aircraft cross our runways every day. Therefore, we have a lot of travellers (and freight) departing or arriving at our airport. The smaller aircraft are the most common. For example, there are 226 times a Boeing 737 at the gate, followed by the Embraer 190 (100 times) and the Airbus A320 (95 times). These aircraft have space for about 100-200 passengers. You can also spot the largest passenger aircraft in the world twice a day at Schiphol – that’s the Airbus A380, which can accommodate as many as 516 people.